Greetings, fellow AniManga mania wherever you are! 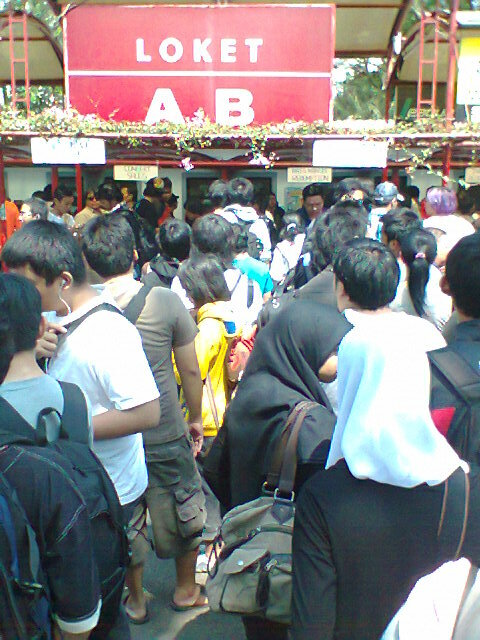 As promised, we’re here to deliver special report about Gilimandra and Randy’s experiences in the bustling event of Anime Festival Asia Indonesia 2012. The reports are rather long so we’ll break it down to several parts. Now for the first part, it all starts with, obviously, by getting a hold of the ticket, which was unexpectedly became the most gruesome and very tiring task. I wouldn’t want to barrage you dear readers with too much of my complaints so I’ll make it short. I bought the “Anisong Concert ticket day 2” online via Raja Karcis, thinking that I’d just redeem the ticket later on the day, and right on the venue. But then they told me that I should go to their ‘supposedly office’ the day before D-day to redeem the ticket in Manggarai, Jakarta, which in fact is a small house that’s difficult to spot unless you’ve been living there for years. On Saturday early in the morning I departed from Bandung and painstakingly made it there, only to be told that there’s a change of plan and I should redeem the ticket directly at the ticket box on the venue. I felt like doing a Tombstone Piledriver on one of Raja Karcis staff, but thank God, I didn’t. An hour later I made it to the Jakarta International Expo and was aghast at the devastating sight before me. 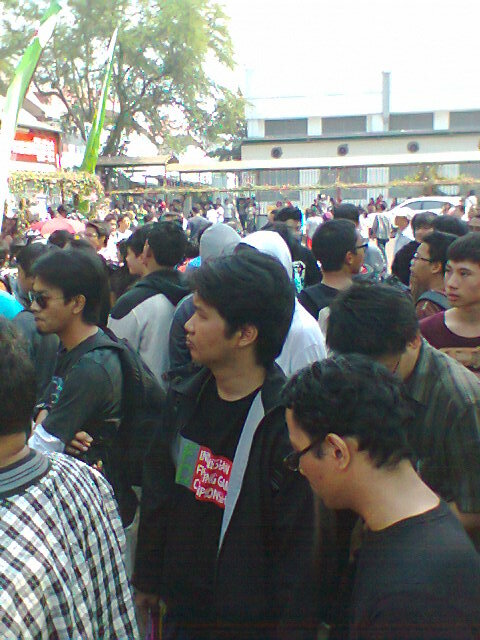 There were around four to five lines consisting of hundreds of people waiting to get their tickets, with each line extending to around three-hundred meters. It was literally hell. 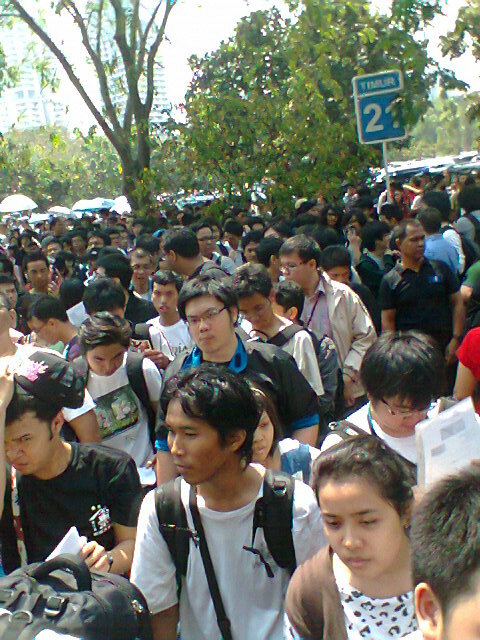 Naturally, due to the scorching heat and totally packed crowd, unpleasant smell was all over the place. Lots of people yelled and complained while wiping off the profuse sweat drenching their shirts. Some sat down and stretched a bit, having stood for a while, and there were few that simply gave up and went home. I braced myself for the upcoming torture and got in the line, starting from the foremost back. 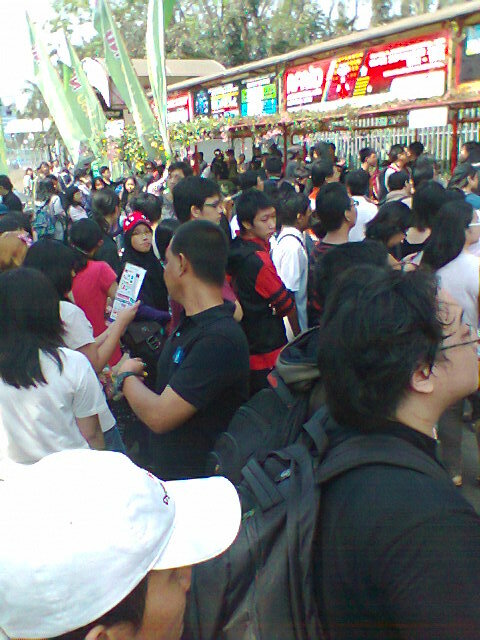 As there’re couple of ticket types and also a couple of methods to get the tickets, there were several ticket booths, which among them was “Indomaret” booth for those who bought the tickets from available Indomaret within the Jabodetabek area, and “Raja Karcis Redeem Ticket”, which was established for people like me. Lucky me, my line was the slowest out of all lines, because the staff checked for ID and other petty procedural stuffs way too long that one person could take five to fifteen minutes to get their tickets issued. I decided to strike a conversation with people around me, and found the fact that a few of them also had gone to the Raja Karcis office before coming here. Oh we’re the same, I thought to myself. Afterwards I realized the bright side of the long wait, which was, that I had made new friends and had fun talking about lots of Anime and Manga with fellow, well, otaku while patiently standing for hours. 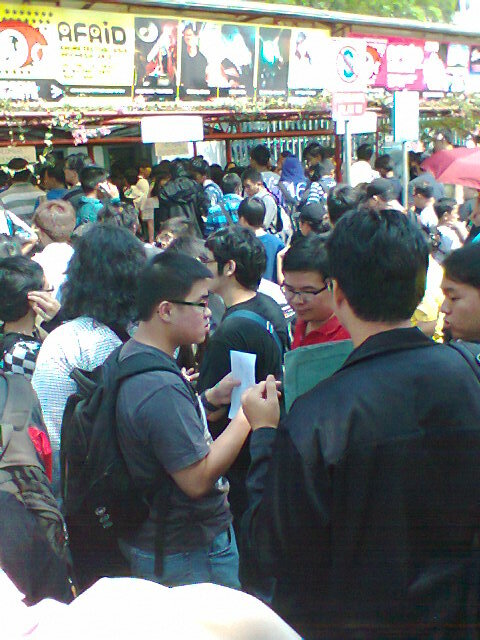 Four bloody hours passed, in which period of time there were some people bickering with each other over who shrewdly cut the line and sneaked into the front and stuffs like that, and finally, finally I got a hold of the ticket for the second day. The wait was too tiring and so long that the crowd, who hadn’t manage to get their tickets yet at the time, literally clapping and congratulating each successful person who was happily trying to make their way out of the sea of humans. At twelve o clock in the middle of the day, I got my ticket, got congratulations from strangers (it was a very strange experience), and then, immediately made my way back to Bandung. that seems.. intense. you okay there? I’m alive, that speaks a lot, LOL. oh oke2 klo gt klo misalnya taun depan ada lagi tlg lu gantiin g antri yah, wk6. 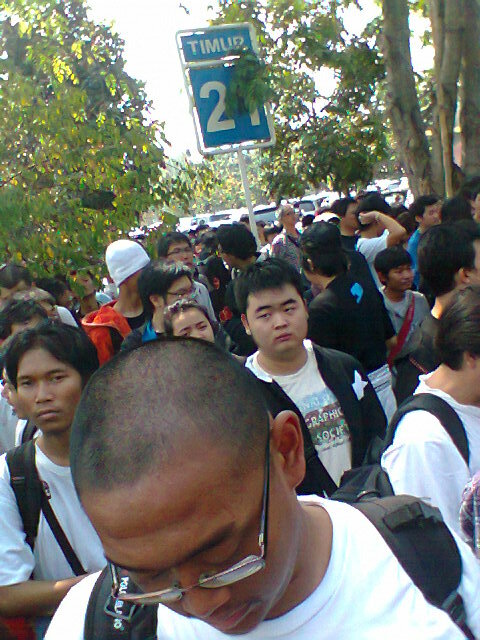 wah klo waktu itu jadi calo tiket bisa2 saya ma randy abis dikeroyok para otaku yang kelaparan pengen dapet tiket secepatnya, ha6.